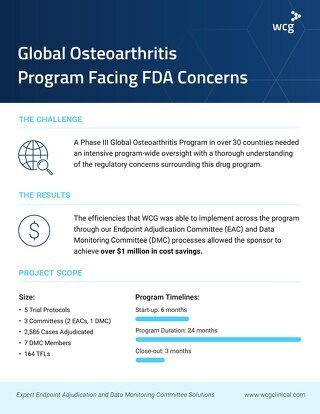 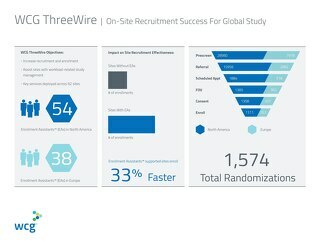 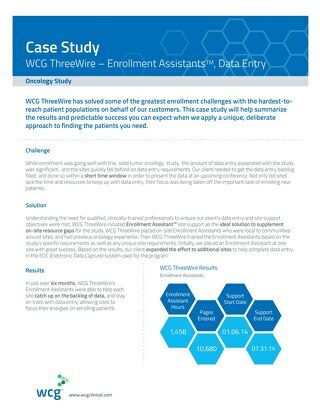 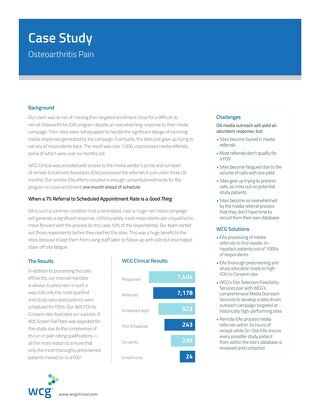 ThreeWire was awarded the study, and quickly developed and implemented a targeted outreach strategy that included television advertising supported by a study website with patient self-screening option and site materials. 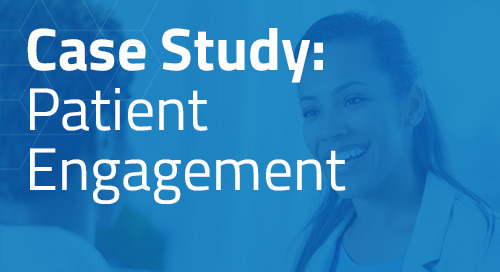 Patients were pre-screened by our Patient Interaction Center® and those that passed the sponsor and IRB-approved screening guide were referred to the local site for an on-site screening visit. 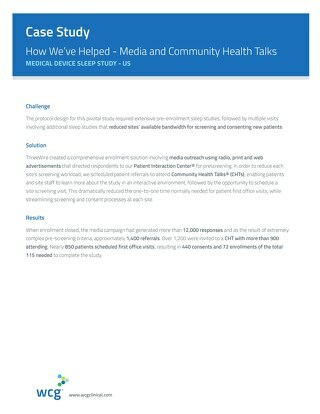 Our Site Services group collaborated closely with patients and the site to ensure site screening visits were expeditiously scheduled and that no patients “fell through the cracks.” During the entire project, our Program Manager closely monitored and analyzed the media outreach and study results to ensure optimal buying and effectiveness and overall value.